Lorenzo Ramaciotti, Fiat/Chrysler's new head of global design, oversees the largest brand portfolio of any styling executive in the auto industry -- 10 passenger car and light truck brands. The 63-year-old designer was supposed to be sitting on an Italian beach by now. But after 32 years at design house Pininfarina and almost two years into his retirement, Ramaciotti was brought to Fiat by Sergio Marchionne in 2007. 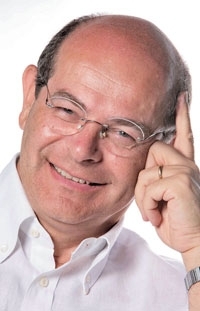 In July, Fiat/Chrysler CEO Marchionne appointed him to head global design for the alliance. The first cars to emerge during his Fiat tenure were the 2010 Alfa Romeo Giulietta compact hatchback, the 2011 Lancia Ypsilon subcompact and the third generation of the Fiat Panda, Europe's best-selling minicar. Now he also oversees some American brands. Here are Ramaciotti's snapshot descriptions of the brands in his portfolio that are sold in the United States or are planned to be. -- Abarth: "Abarth is the sporty expression of the Fiat brand, like M for BMW and AMG for Mercedes. Abarth has always made hot versions of Fiat small cars. I personally do not see possible an Abarth version of the Freemont," a rebadged Dodge Journey sold by Fiat in Europe. -- Alfa Romeo: "Alfa Romeo is the emotional side of Italian cars. Its DNA is small-displacement, high-technology engines that provide superior performance together with great handling. The design challenge is to find a proper sporty, emotional body to exalt the visual impact of its technical underpinnings." 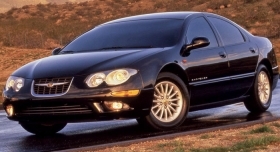 Key vehicles from recent decades in the Fiat/Chrysler brands overseen by global design chief Lorenzo Ramaciotti include the 1999 Chrysler 300M. -- Chrysler: "Chrysler has created several milestones in design, from the 1934 Airflow to the first minivan and the cab-forward subcompact and large sedans. It's a brand that has made several comebacks. The design direction of the 2003 300 was bold and courageous, creating a highly recognizable, modern American car." -- Dodge: "It's a 100 percent American brand that in recent years brought back some strong design features of its past, such as the muscular "shoulder' of the Charger and the Challenger rear wheel arch. Dodge is the American muscle car. The design challenge is to evolve this strong DNA in different sizes and shapes." -- Fiat: "Fiat is Italian design expressed in its most everyday, functional and simple form. Since the new 500, Fiat began adding emotion and a "smiley face' into its people's-car rigorous simplicity. The new Panda is an example of highly praised content now wrapped into a rounder shape, with a friendly face." -- Jeep: "Jeep, like Mini, is a brand that started from an icon and always remained faithful to its roots. The strong brand DNA was expressed in very different shapes, from the Grand Wagoneer four-wheel-drive wagons to the first modern SUV, the Grand Cherokee -- new architectures that always remained Jeeps at the first sight." The 1963 Maserati Quattroporte is a milestone for the Italian brand. -- Maserati: "Maserati is Italian gran turismo, a combination of high-performance, old-time craftsmanship and a high degree of personalization. With the 1963 Quattroporte, Maserati created the first sporty large sedan. The new Kubang large SUV concept follows this seed, giving new shapes to Italian gran turismo." -- Ram: "Ram means pickup and pickup is the biggest difference between the U.S. and Europe. Historically, pickups are the No. 1 and No. 2 sellers in the U.S., while in Europe they are just an oddity for someone who wants to look completely different. Ram's tough design should transmit its strength in load and towing capacity."